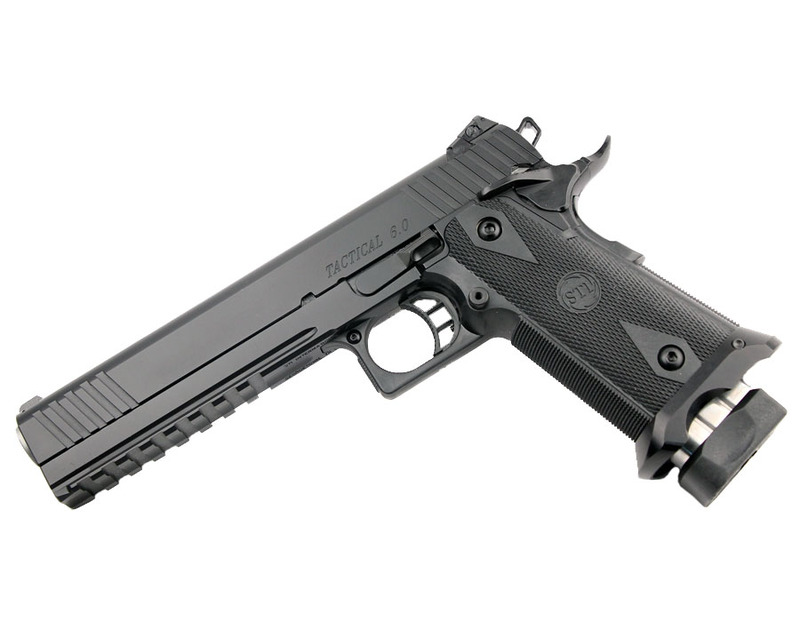 The STI Tactical DS features a rugged, full-length all steel railed frame coupled with a 6" bull barrel. This combo makes for an extremely accurate, soft shooting pistol. Features a TAS adjustable rear sight, front night sight, ambidextrous safety, and extended magwell. Comes with one magazine, lock, and case.